Home » Dori Laub, M.D. Dori Laub was born in Czernowitz, Romania in 1937. With his parents, he was deported to Transnistria in 1942. His father disappeared during a German raid prior to liberation by the Soviets and he and his mother were reunited with his grandparents who had survived in Czernowitz. He emigrated to Israel in 1950 where he attended medical school. 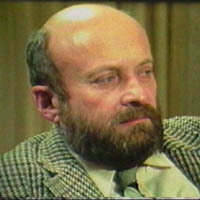 Dr. Laub became a psychiatrist and psychoanalyst and settled in New Haven where he was affiliated with the Yale Medical School. Together with Laurel Vlock he began videotaping survivor testimony in 1979 which led to the founding of the Holocaust Survivors Film Project and eventually the Fortunoff Video Archive for Holocaust Testimonies. He has participated in 127 taping sessions, has actively trained interviewers in affiliate projects, and has written extensively about survivor testimony.